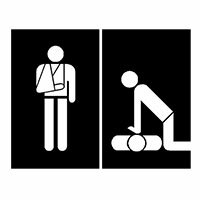 Clavey Paddlesports is hosting a combination CPR/First Aid Class on Sunday March 3, taught by ReadySF. We'll start at 12pm and go through to 6 pm with a 30 minute break. This combination course will cover CPR/AED/Choking for adult and children as well as Basic First Aid Skills. The course will be broken up into two sections. The CPR/AED course will teach the "CAB" CPR technique and will demonstrate the use of an AED. Cost: $145 - Includes cards for both CPR and First Aid that are good for two years.